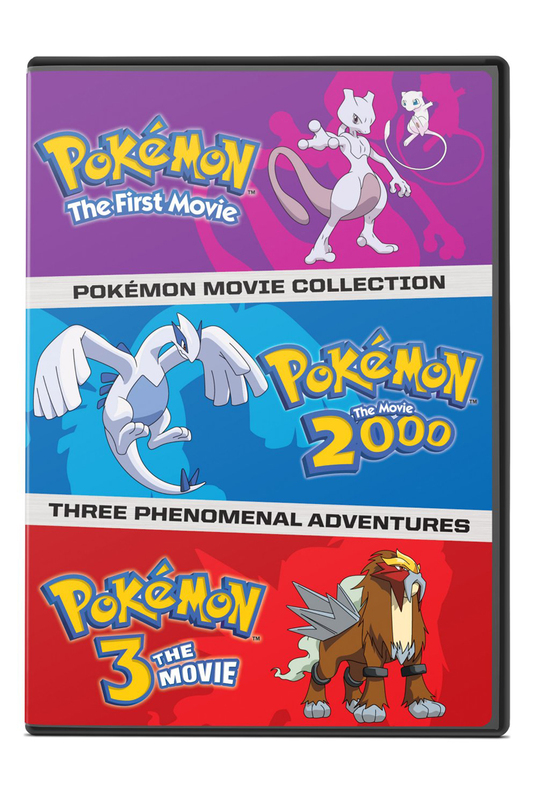 Pokemon Movies 1-3 contains Pokemon: The First Movie, Pokemon The Movie 2000, and Pokemon 3 The Movie. You know about Pokémon. They're tiny creatures that can fit in your pocket. But that doesn't mean they don't also provide big entertainment! Ash, the world's greatest trainer/Pokémaster, plunges into adventure when cloned Pokémon seek to overrun the world in Pokémon The First Movie. 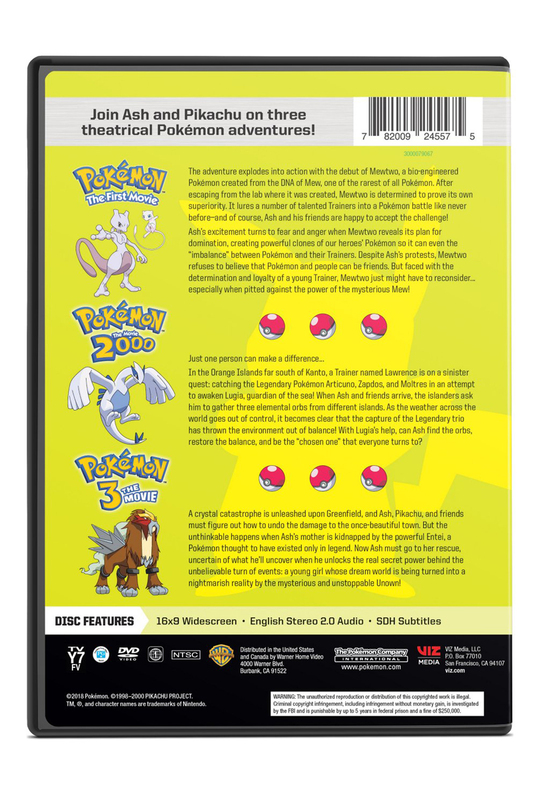 Earth again hangs in the balance in Pokémon The Movie 2000 as Ash tries to rescue the Pokémon birds that control key parts of the environment. And Ash springs into action once more in Pokémon 3 The Movie when the eerie Unown wraps an orphan girl in a dreamscape prison. It's a Pokémon world. We just live in it.